Mogar is a small village located just 5 km from Anand district of Gujrat. The primary occupation of the locals is agriculture and dairy farming. Anand is known as the Milk Capital of India and has been the epicenter of the White Revolution back in the 60s. It houses Asia’s largest dairy cooperative – AMUL (Anand Milk Union Limited). It also hosts the head office of Gujarat Cooperative Milk Marketing Federation Ltd (GCMF), National Dairy Development Board of India and well known business school – Institute of Rural Management Anand (IRMA). Anand has a semi-rural set up which can be seen when one is traveling through this wonderful city. 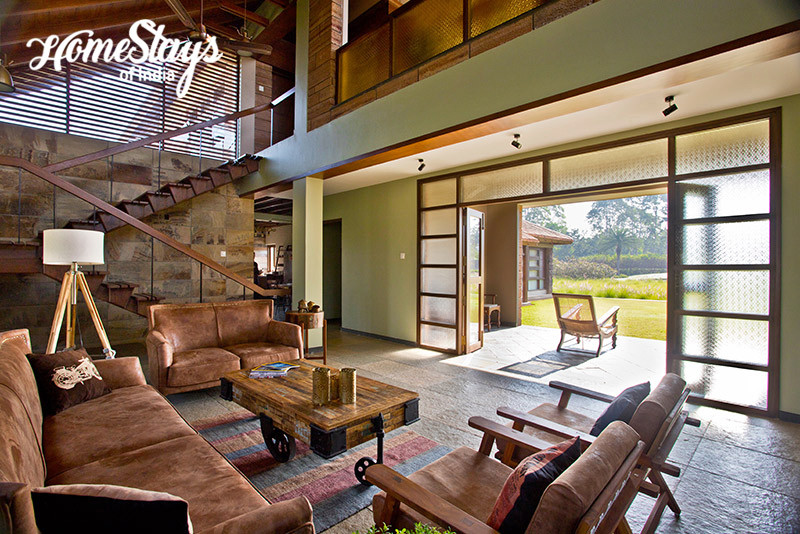 Build in a farm land of 20000 Sq meters, the homestay is a unique combination of luxury with nature. 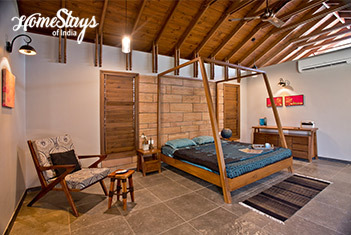 It’s an eco-home, made of natural materials like stone, wood and mud and it is powered completely by solar energy. 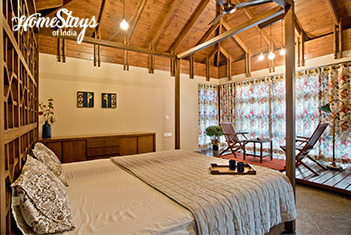 The first floor consists of a living room and two bed rooms, a fully equipped kitchen and a cozy dining area. Second floor has a library and one pool facing bed room. The library is equipped with more than 1000 books & magazines. Subject matter is predominantly nature, wildlife, fiction and romance. 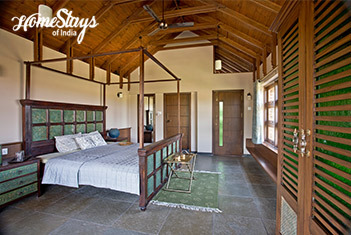 The posh Drawing Room connects well with garden and it is spacious enough for 12-15 people. 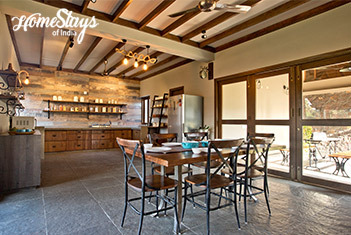 Rustic furniture, natural light, stone made floor, walls done with Indian mint fossil sand stone… all together make it a state-of-art place to live. 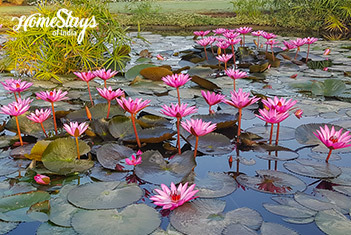 Its botanical garden is full of 120 species of trees and more than 100 types of shrubs which creates an eco-system of its own. There is a Mango Deck to climb on and have top view of the area. Apart from being a business man, Raghuvir Sinh Solanki is a passionate Photographer, nature and wildlife lover with special interest in birds. He has been involved deeply in crafting this beautiful place. 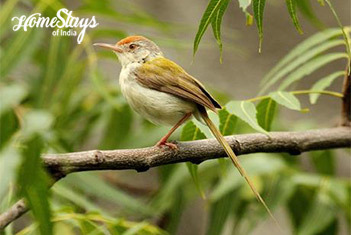 He is more than happy to help you with bird watching, planning wildlife trips and visiting historical places nearby. Our rich kitchen serves almost everything which is on the food map of Gujrat. 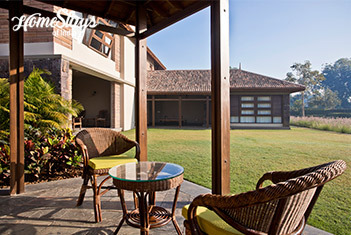 We have in-house chef who prepares homemade Gujarati cuisine and also North Indian and Chinese food. Most of the vegetables come fresh from our own farm. You can choose breakfast from Paratha with curd, Sandwich, Butter Toast, Bread Omelet, Cereals, Fruits, and Juices etc. Non-Veg food is provided on prior demand. We don’t mind if our guest wants to try their hand in the kitchen. Including: Breakfast, Dinner and non-stop supply of tea/coffee. Excellent place for relaxation, excellent hospitality, nice place.